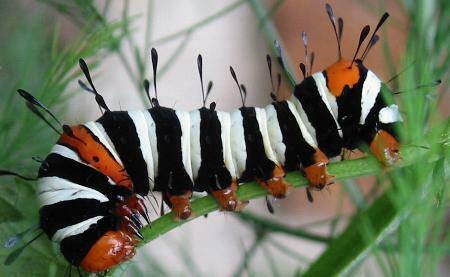 The caterpillars of this species have black bands alternating with either white or orange bands. 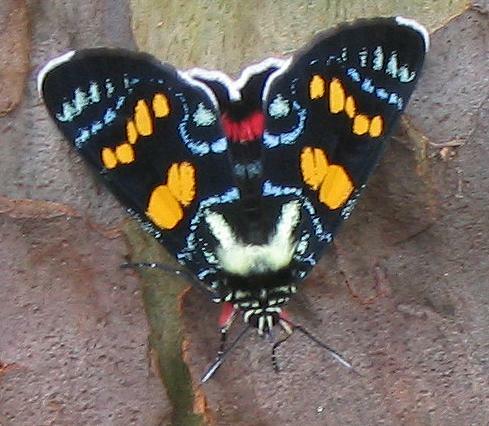 The caterpillars also have deep orange bands on the mesothorax and on the last abdominal segment. They have sparse black hairs with white club tips. Their head and feet are orange. 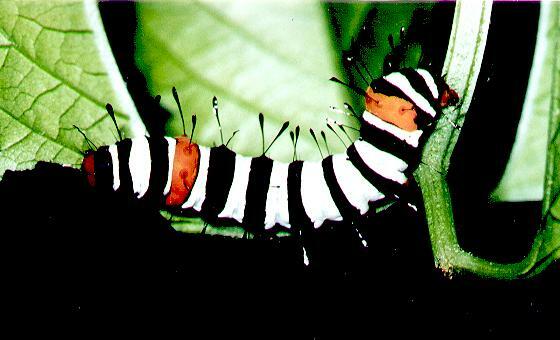 The caterpillars grow to a length up to 7 cms. common natural posture, with head downward. 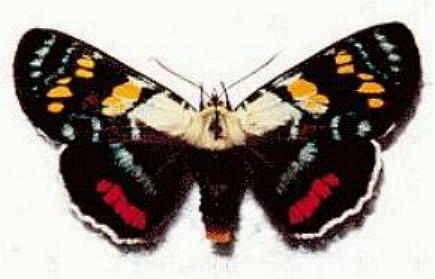 The adult moths are black with red, white, blue, and yellow patches. They often rest on vertical surfaces with head downward. The females are larger and have a large white area at the base of the costa. Butterflies and Moths, Collins Eyewitness Handbooks, Sydney 1992, p. 266. 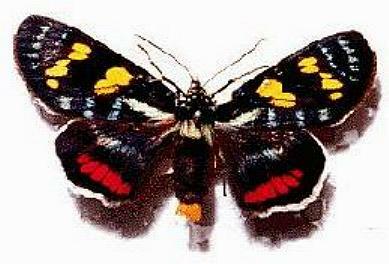 Moths of Australia, Melbourne University Press, 1990, p. 464.